The less that is spent on accommodation, the more is available for going out and dining. Everyone has to make the choice about what is important to them when holidaying in Cardiff. It is a case of what gives the most pleasure, fabulous high quality accommodation or entertainment. If cost is no object, book a large house with a swimming pool, a hot tub, games room, sauna and throw in a cinema room for good measure. Be aware that the accommodation may be so wonderful that you might not want to leave. The region of Cardiff in the South of Wales boasts architectural marvels like City Hall, Cardiff Castle, Llandaff Cathedral and Wales Millennium Centre that you may want to see and admire. In case you are interested in knowing about the history of the destination, you can visit the museums that have numerous artefacts and collectibles. We would like you to thoroughly enjoy country cottage holidays in Cardiff, but there is more to a self-catering break than just relaxing in a holiday home. Visit the National Museum and Art Gallery, Cardiff Story and St. Fagan’s National History Museum and it will give you a few more memories of Cardfiff apart from the amazing hot tub, sauna or other features of the accommodation. During your cottage holidays in Cardiff, you can also engage in a wide range of activities at Taff Valley Quad Bike & Activity Centre, Cardiff Bay, Cottrell Park Golf Club and much more. Similar to the endless choices that you have in terms of things to see and do, you also have several self catering accommodation options. You can choose from self catering cottages or apartments for a stay in Cardiff. In order to streamline your search, you can see the various options available via our Search Assistant. 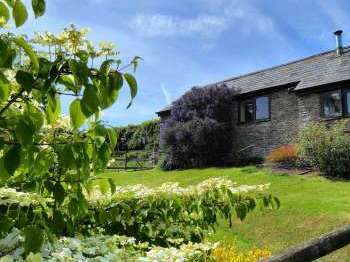 Search for dog friendly cottages, cottages with soothing hot tubs, cottages with pools and much more. Whether you are looking for country cottages away from the hustle and bustle of city or lavish accommodation, we trust Country Cottages Online will help you find what you are looking for. Please note we have no holiday cottages or holiday lets in Cardiff currently. We recommend that you take a look at cottage rentals in Wales. Alternatively our Search Assistant can help you to locate a suitable holiday cottage in Wales. You may also want to take a look at available Wales?